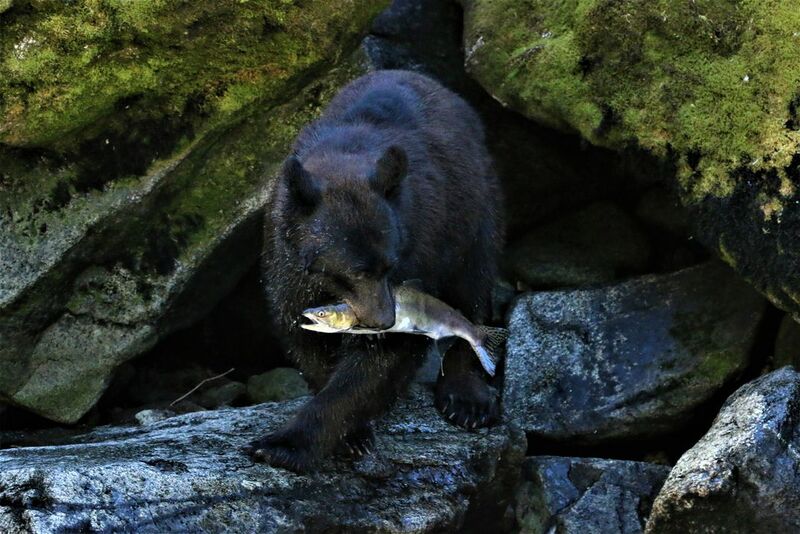 This is a photo of a bear that just caught a salmon. Each year in July and August, Black and Brown bears fish for salmon in this river at the same time. Date Uploaded: Nov. 30, 2018, 2:09 a.m.